Dig out some wine glasses from your cupboard, flip them over onto some mistletoe and pop some tealights on the base of the glass (which is now facing up.) Make sure the base is large or deep enough to catch any melting wax that may ooze out of the tealight casing. 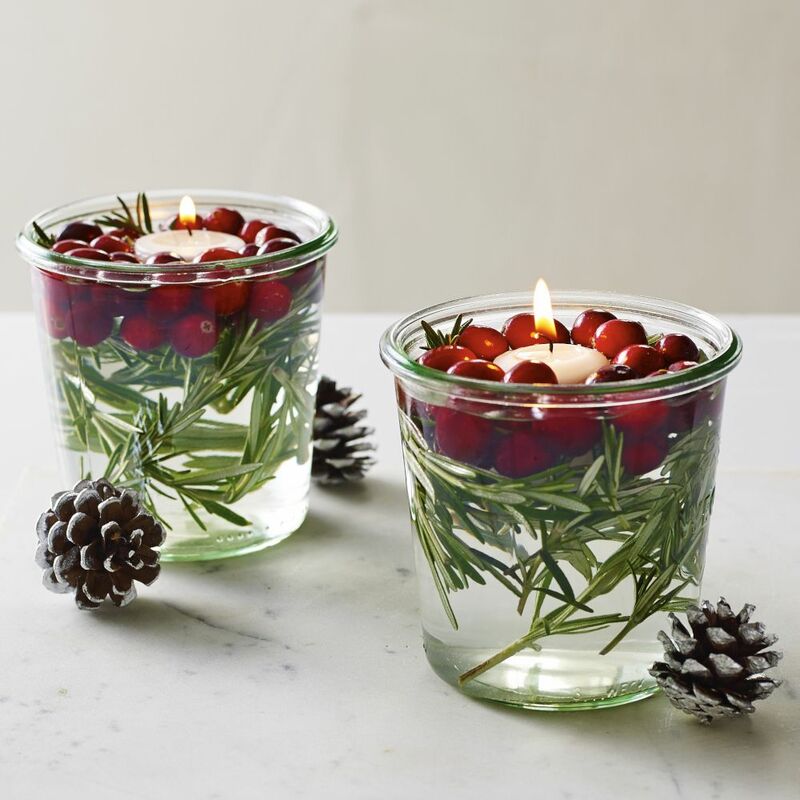 An alternative is to fill up some glass bottles with water, drop in some mistletoe and place a tealight candle on top. A super easy and beautiful way to decorate the table! Visit Adelaide & Rural Salvage and pick up a piece of recycled timber for the table. 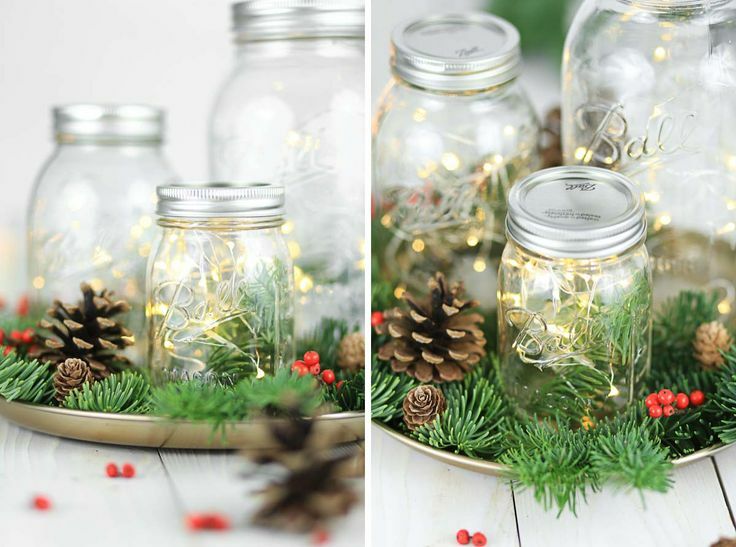 Place it in the centre of the table and decorate with Christmas tree branches (fir, spruce or pine tree branches), Christmas decoration balls and mason jars with tea lights inside them. If you want to go the extra mile, build some stars on a stick and place them evenly on the piece of timber. A cute way to dress up the cutlery on the table. Source some mini Santa sacks online or get someone you know to knit them. Pop your knives, forks and spoons in there and place them on the table. You could even make a pair of socks that your guests can wear after Christmas dinner. A sweet and simple idea is to fill up a variety of glass bottles, jars or containers (they don’t need to match) and fill them up with lollies, sweets and candies! It will add a burst of fun and colour to the table and can be eaten for dessert. 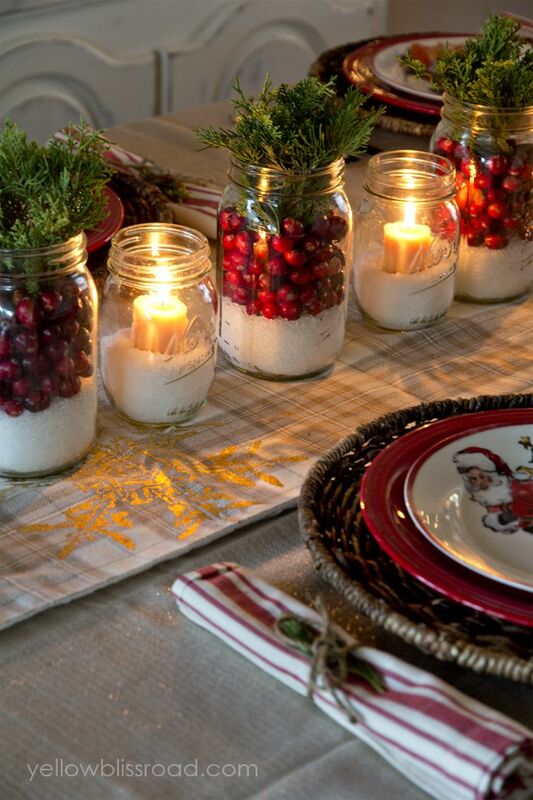 Place a couple tall candles among the jars to add some ambience lighting to the table. A really easy way to decorate a table is to fill up a glass vase with some Christmas decoration balls and fairy lights. Fill three of four vases to cover the table and string some extra fairy lights around the table too. A great way to add some classic Christmas decorations to your table. Something for the table or as a Christmas tree substitute. Find an old tree branch, spray paint it silver and decorate it with homemade Christmas decorations. Place it in a clear glass jar filled with soil or beach sand to keep it upright. Stay tuned for more ideas, tips and guides to decorating your events! If you’re looking for the perfect place to host your work Christmas party, get in touch with The Function at The Beachouse. We have several packages to choose from and the perfect view for your Christmas do!